The Center for Digital Antiquity is seeking a creative and innovative Software Engineer to help build and maintain tDAR (the Digital Archaeological Record), an international digital repository for archaeological and cultural heritage data. This is a unique opportunity to leverage and expand your skills while preserving information crucial to describing and understanding the past by developing new and unique tools for digital data management, preservation, and use. This position works with the development team to design, implement, document, and support tDAR, Digital Antiquity’s repository. tDAR is a set of Java-based web applications built using Struts 2, Hibernate, SOLR, Spring, PostgreSQL/PostGIS, JQuery, and AngularJS. This position reports to the Director of Technology. Applications for this position will be reviewed beginning on April 10. We had a busy year at the Center for Digital Antiquity in 2016, tDAR continued to grow with significant contributions from the North Atlantic Biocultural Organization , US Air Force, and US Army Corps of Engineers. tDAR had one major software releases, Obsidian which focused on enhancing the collections pages, searching, data integration, and added new APIs for working with data and metadata in tDAR. 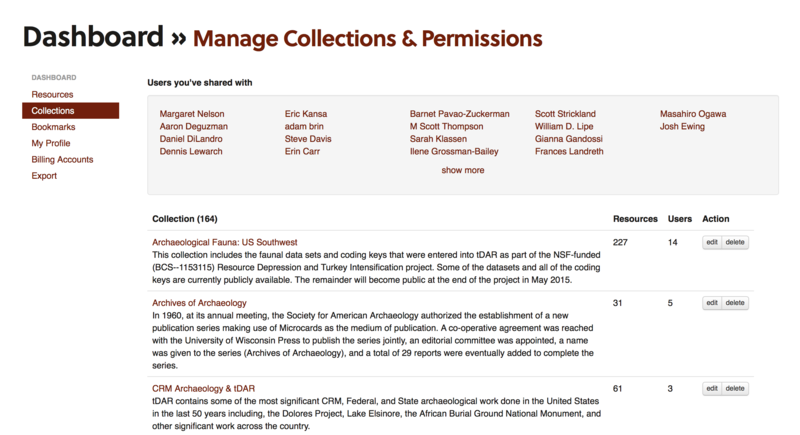 We are continuing our work with the Corps of Engineers Veterans Curation Program, putting digital products based on their rehabilitation of physical archaeological collections into tDAR where it can be shared broadly. We worked with the US Air Force cultural heritage program as program leaders there continued to build digital archaeological archives for their bases and other facilities. We are also still working with the Phoenix Area Office of the Bureau of Reclamation on their rich archives of archaeological material. 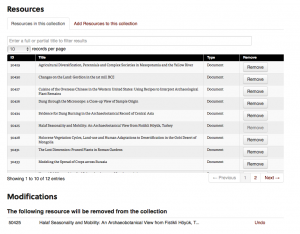 Individual researchers and research organizations began or continued to build their archives in tDAR. 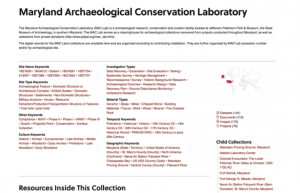 A few notable contributions include those from: the Eastern Mimbres Archaeological Project (EMAP) , the ICOM Affiliated Organisation representing archaeological open-air museums, experimental archaeology, ancient technology, and interpretation (EXARC), the PaleoResearch Institute, the Center for Archaeology and Society, SRI Press, and the Dainzú-Macuilxóchitl Archaeological Project. Also notable was an extensive set of tree-ring data uploaded by Tim Kohler and Kyle Bocinsky. As part of our continuing agreements with Archaeological Institute of America (AIA) and Society for American Archaeology (SAA), we ran workshops highlighting best practices in digital curation at the AIA annual meetings in Orlando and San Francisco respectively. 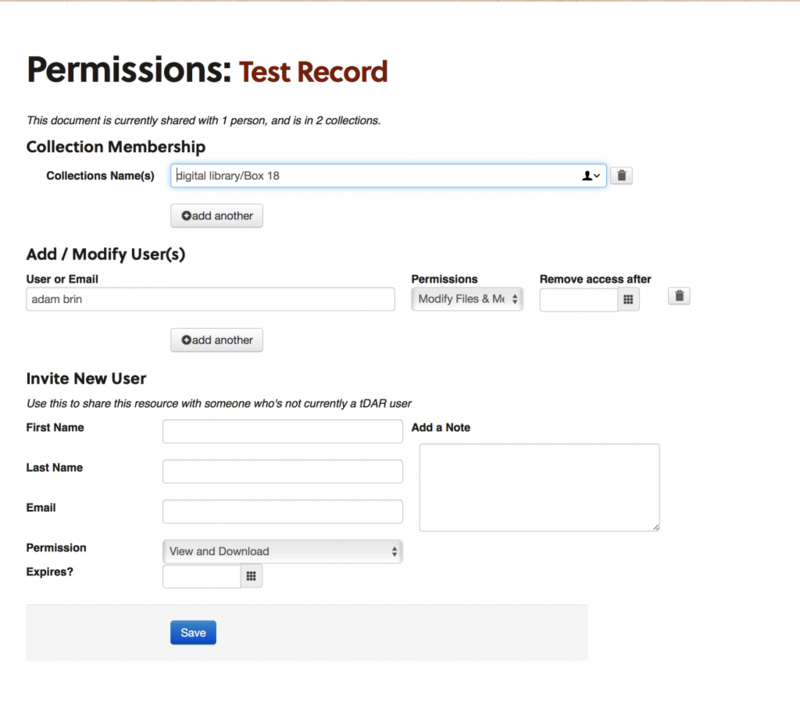 We also continue to provide SAA student members with a number of no cost uploads for contributing their data to tDAR as part of our agreement with SAA. We continued our existing partnerships with the DataARC and SKOPE NSF awarded projects. We also developed new international partnerships for the use of tDAR by colleagues and organizations in Australia with the Federated Archaeological Information Management System (FAIMS) and in Canada with Sustainable Archaeology at the University of Western Ontario and the Museum of Ontario Archaeology. 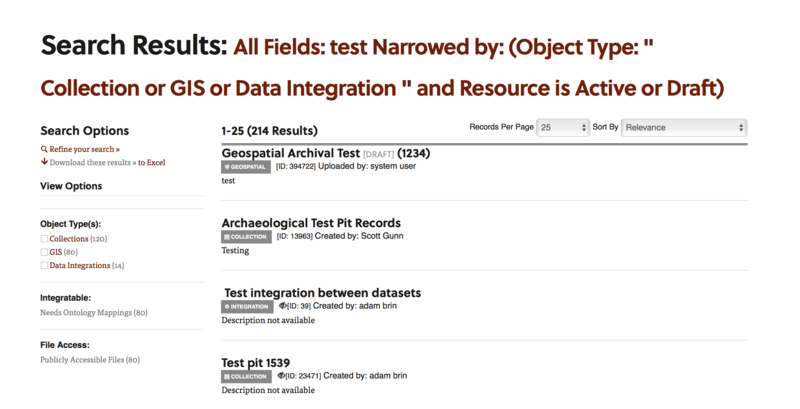 EXARC, the ICOM Affiliated Organisation representing archaeological open-air museums, experimental archaeology, ancient technology, and interpretation, migrated it’s bibliographic database into the EXARC Experimental Archaeology Data Collection in tDAR this month, with technical support from the Center for Digital Antiquity. Now, in addition to providing an extensive bibliography for those interested in experimental and experiential archaeology, primitive technology and archaeological open-air museums, EXARC will be able to make publications and supplementary data (images, fieldnotes, large datasets) available, where possible; and preserve the files for the long-term. It will also make the bibliographic citations available to a wider audience by including them with other archaeological resources. The bibliography was originally compiled by EXARC Director, Dr Roeland Paardekooper. The new collection will be managed by Dr Jodi Reeves Eyre. In the future, EXARC plans to extend the collection and work with with universities and museums to upload their experimental archaeology data, publications and grey literature into the collection. The long term goal is to establish a board of professionals to oversee the collection, evaluate the quality of submissions and promote the preservation of and access to the wealth of data produced. If you or your institution are interested in contributing materials, or you want to learn more about supporting the collection, please contact Reeves Eyre. 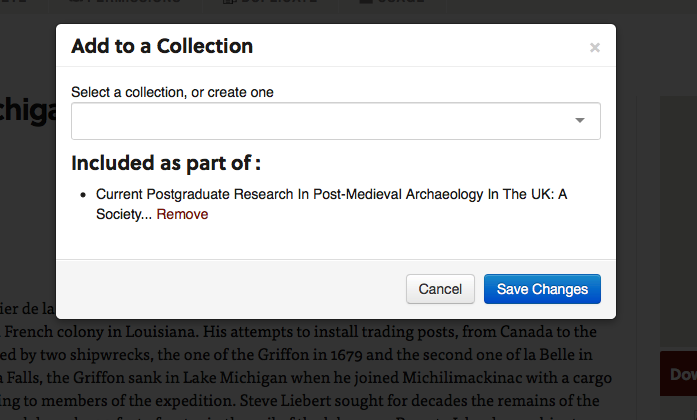 Once completed, we will send you a message with a link to edit the abstract and upload the record. Scroll down and edit or enhance any of the metdata you would like. Click on the green "add files" button under "Attach Document Files" and follow the prompt to upload a PDF copy of your paper or poster. If you'd like to upload a dataset in addition to your paper or presentation, please contact us for a voucher. If you are adding multiple files (e.g. 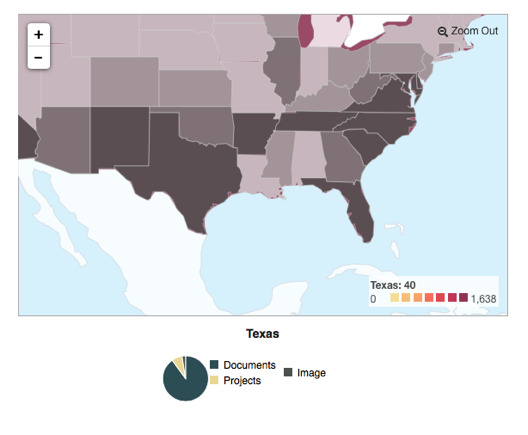 your paper, a copy of your presentation, and a dataset) you will probably want to create a project. Were you a presenter in 2015 (San Francisco) but haven't uploaded your presentation yet? 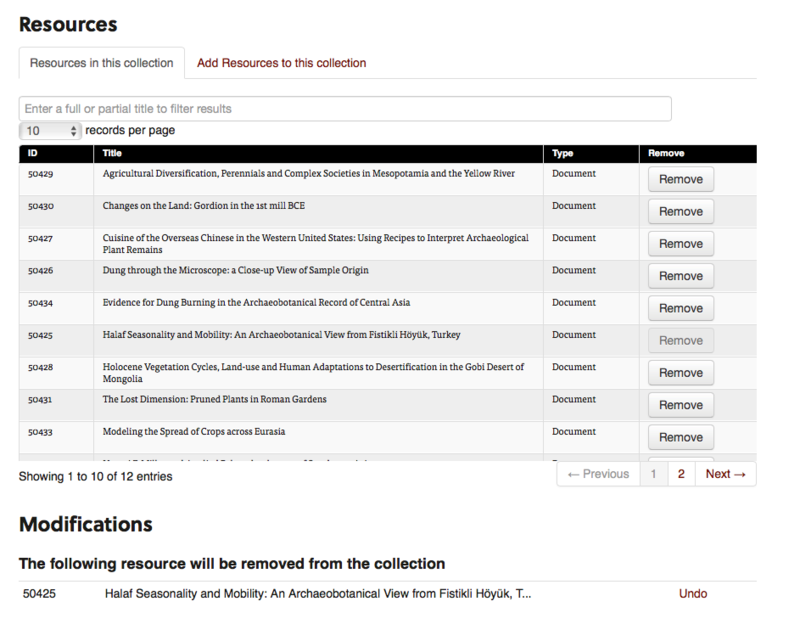 Not to worry--those abstracts are also in tDAR and can be found in the search bar at the top of this page too. Help other researchers find and cite your SAA presentations by making them available today! And SAA Student Members don't forget that you are eligible to upload 3 files to tDAR annually as part of your membership benefits! Email membership@saa.org to receive your voucher. Learn more about tDAR and the Center for Digital Antiquity.